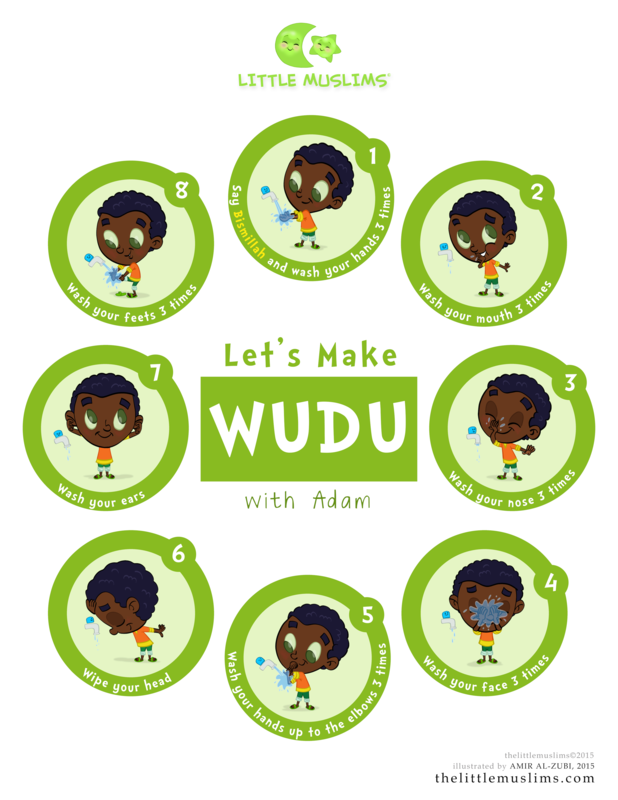 Let’s Make WUDU poster from the Little Muslims series. Pick your favorite Little Muslims character! Tape it on your home or masjid restroom mirror so your little Muslims can love to make wudu with this fun and super cute poster. Laminated: so they can splash all they want!